Scrivete qui commenti e nuove idee su questa caratteristica avanzata. In new verison main unit is eV so it’ll be possible to put 1 eV (+/-) with 2 eV peak range. In older versions in IdentSettings file was posibillity to put value from 0.01 keV (10 eV) round on two decimal places. 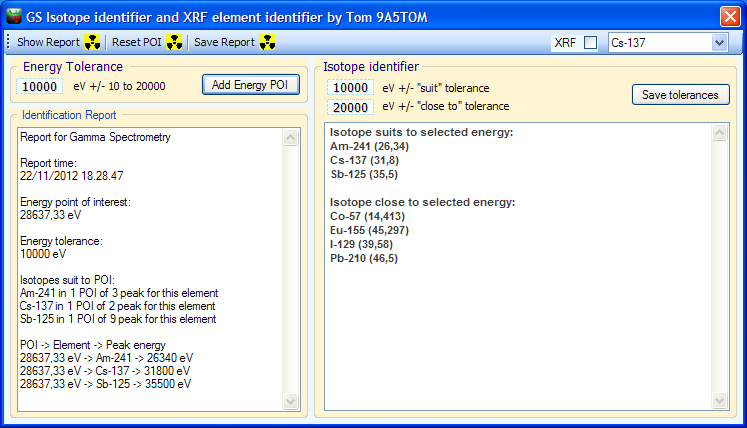 In new version of Theremino ident feature all you need to set tolerances and atomic shells for XRF. You are welcome to give feedback about it!